Working with people who understand the power of the Arts to effect social and inner transformation is crucially important to me. Sabra Williams has received international acclaim for her work as an actor and co-founder of The Actors’ Gang Prison Project, including being named by President Obama as a Champion of Change, and being honored by Queen Elizabeth II with a British Empire Medal in 2018. After establishing a body of work as an actress and television host in the United Kingdom andinternationally, Sabra became an “alien of exceptional ability” upon her arrival to Los Angeles in2002. 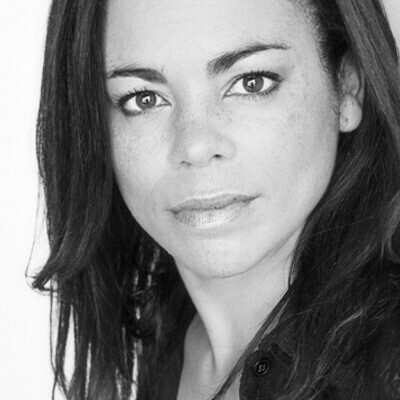 In 2004 Sabra was honored with an invitation to serve as a company member of The Actors’ Gang (Tim Robbins, Artistic Director) Based in part on her experience of working in prisons in the United Kingdom with The English Shakespeare Company and The London Shakespeare Workout, Sabra started The Actors’ Gang Prison Project and recently stepped down after thirteen years as the program’s Director and as the company’s Director of Engagement, creating and overseeing prevention programs for at greater risk youth and gang members and ensuring an off-ramp from prison with two Reentry programs for those coming back to our communities as well as ongoing programs in thirteen California Prisons and in Juvenile facilities. Sabra established strategic program partnerships between The Actors’ Gang and the Obama US Department of Justice and such organizations as the Arts for Incarcerated Youth Network, Revolve Impact, the Anti-Recidivism Coalition and Homeboy Industries. She was invited by President Obama’s Senior Advisor, Valerie Jarret to co-produce an event at The White House around innovative programming and the Arts in Criminal Justice Reform. Sabra has been a tireless and successful advocate for including the Arts in legislation and criminal justice reform and is in great demand for speaking engagements, facilitating and hosting. Her new venture, Creative Acts is her next step in addressing some of our most pressing social justice issues through the transformative power of the Arts.